Here are some of my favorite photographs of my first official food photo shoot. These photographs are going to be used for a cookbook for Le Croissant Catering. Typically a food shoot will produce one recipe and you are done for the day. We had about 35-40 different items to be photographed. And we did them all in about 6 hours! We worked with the good folks at Mountain Land Design. They have an amazing sales floor that features kitchens, bathrooms, and design for high end homes. We were able to use several kitchens to have different backgrounds for the food. Because we were on such a tight time constraint, Le Croissant Catering prepared all of the food ahead of time. They would start to style one of the meals while I photographed another meal. We would then rotate and photograph the next item. We had an assortment of entrees, desserts, soups, salads, and drinks. My favorite were the desserts—desserts are meant to look amazing! And I had a ton of fun photographing the food. 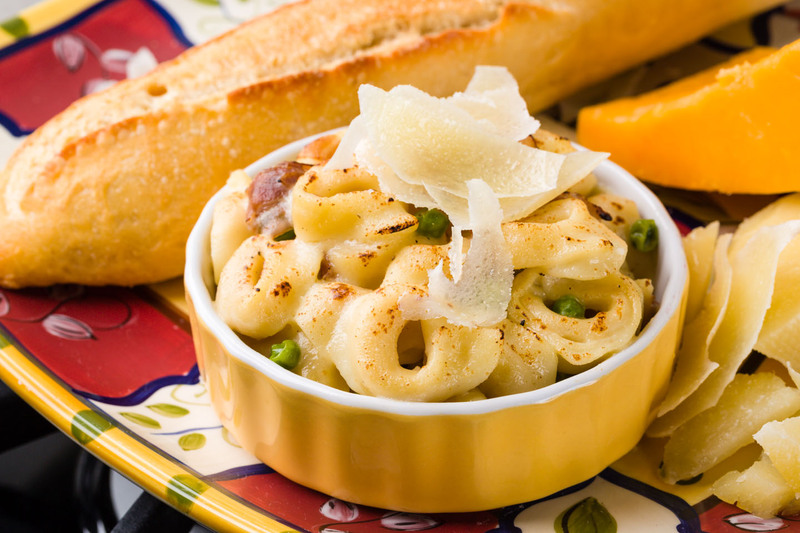 This pasta dish was one of my favorite to photograph. The choice of plateware can be critical. 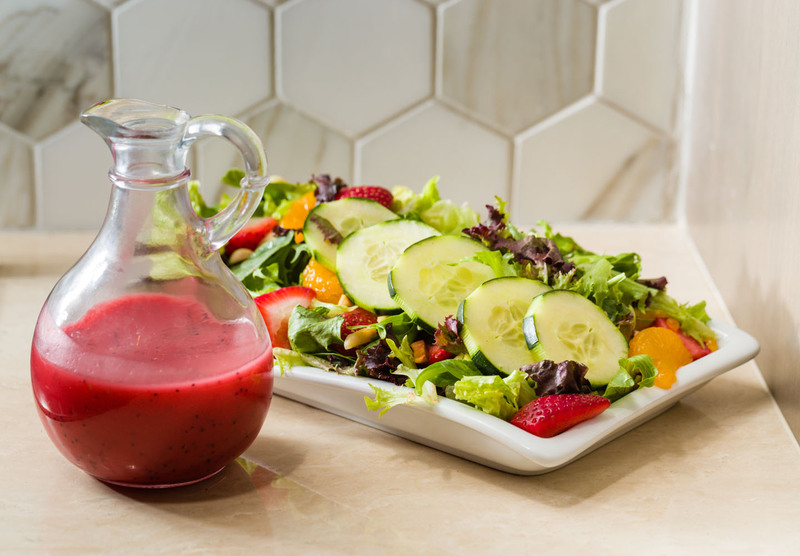 The color of the food, the color of the table, and the shapes can be critical in making the food look delicious. 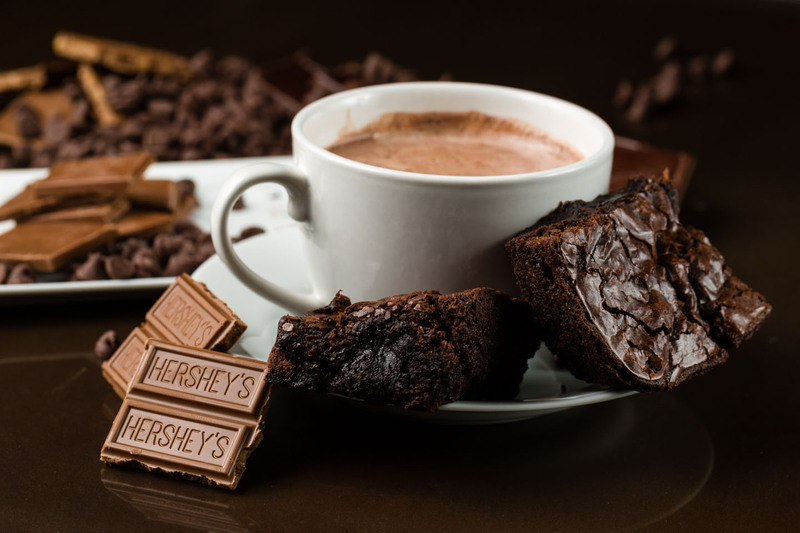 Perhaps the most popular food photograph from this shoot was the brownies, hot chocolate, and bed of chocolate. I actually changed the setup for the food. And I really like this final shot. For food photography lighting is hugely important. 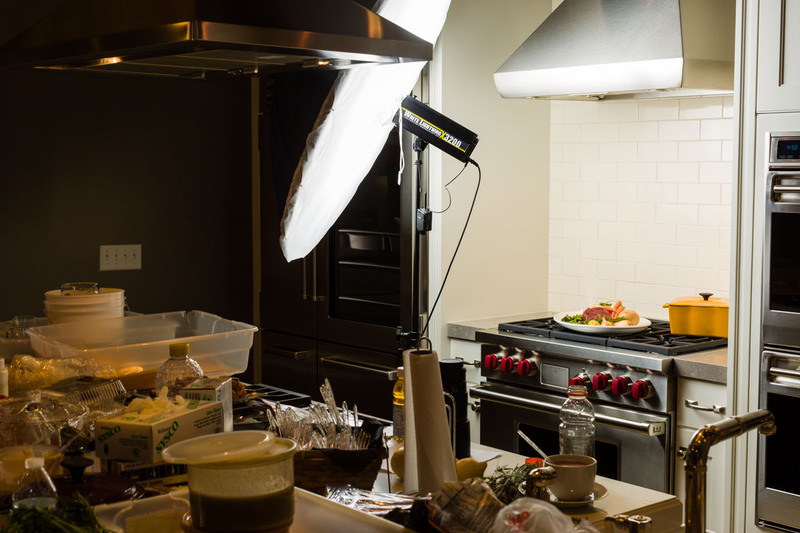 I had primarily used one main light and I used mirrors and foam core to reflect and shape the light on the food. In this case I am using a mirror to help add more highlights onto the brownies. The dark rich color of the photograph really sell the deliciousness, and you can practically taste chocolate just by looking at the image. The perfect therapy is chocolate! Location, location, location. Many food photographers will use huge windows for their lighting. Sometimes that won’t work. We wanted to use this specific tile for the backdrop. This was in the corner next to a stove so we didn’t have much room to work with. We definitely could not fit a large studio light into the area to light the scene. Fortunately, I always bring a backup lighting system. That system is very portable and I was able to light this and make the summer salad look ever so tasty. 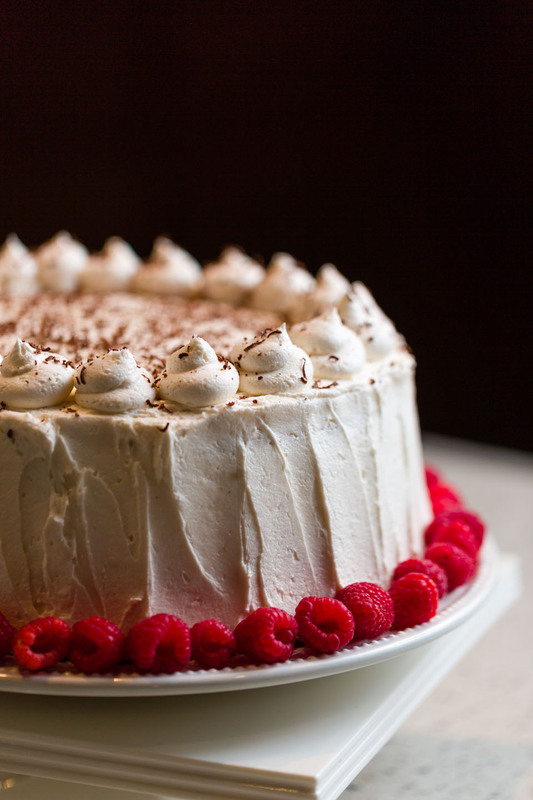 Everything is better with raspberries! Photographing this cake proved to be a little bit of a challenge. Because we had so many options of location at Mountain Land Design, we almost had too many options. Finding that perfect shot took a few tries, and this was my favorite. The lighting helps paint a texture to the frosting. In fact, many of my food photographs start to look very dramatic. I think that might come from my portrait work. Next project will be to work on some food photographs that are light and airy. Having multiple styles can be a strength. 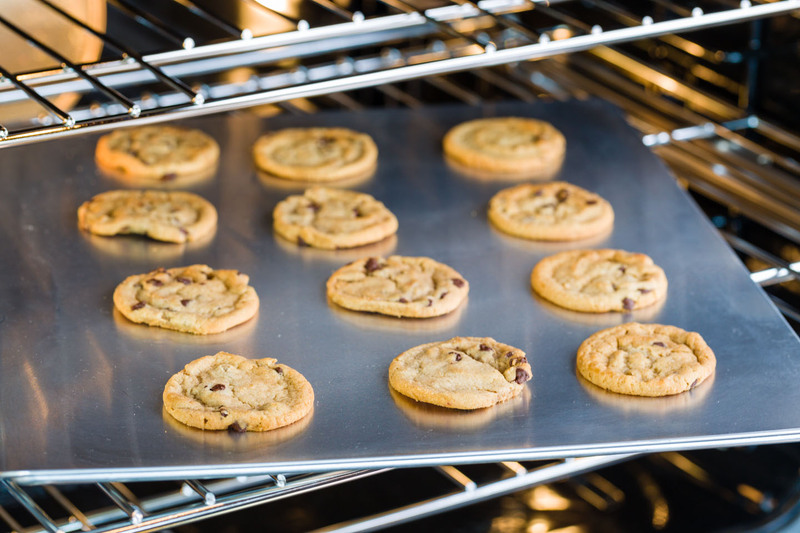 We wanted to create the illusion of fresh baked cookies. In this shot the oven is actually on and we didn’t know how to turn it off. We wanted the lights from the oven but did not intend for the actual heat. Hooray for extreme photography! Soup, that can be a bit of a challenge to photograph. Who am I kidding, food itself is a challenge to photograph! The problem with soup is that the substance of the soup wants to sink. One solution is to invert a smaller bowl and put it into the soup and that will push the beans, mean, veggies above the surface of the soup. Can you tell I have been doing my food photography research? I have studied numerous food styling books, cookbooks (with pictures), and books on lighting food. Just because I am entertained by behind the scenes photographs of photo shoots, I am including one! The larger the light the softer the light, and that works really well for food. If I ever buy a house, I want one with an amazing kitchen and huge north facing windows for some natural light food photography. I will still use my studio lights when it suits me. Dare to dream. This was another one of my favorite shots. 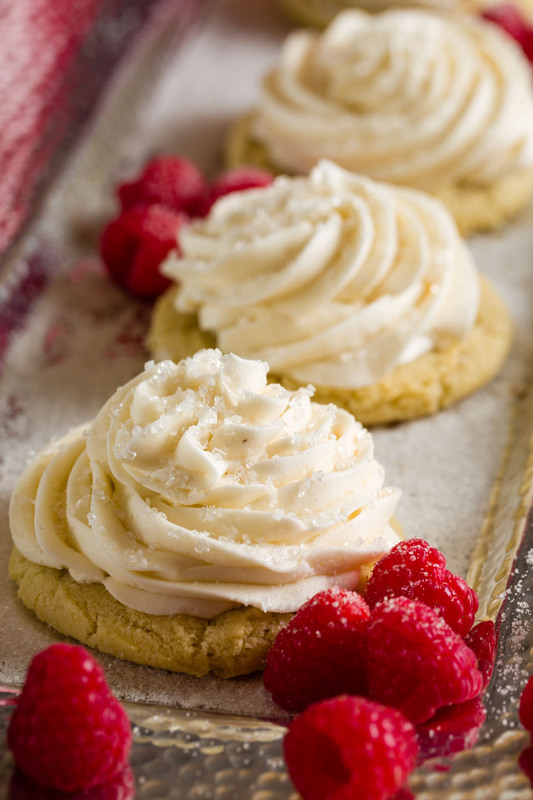 The happened to be large red food containers on hand and they worked perfectly with these cookies and raspberries. They had added some sugar to some of the raspberries, great addition. Someday, I hope to work with a food stylist. A great food stylist is worth their weight in gold! In the meantime, even though I really don’t cook, I am learning all the different tricks of the trade for food styling. It is a fascinating talent to be sure. 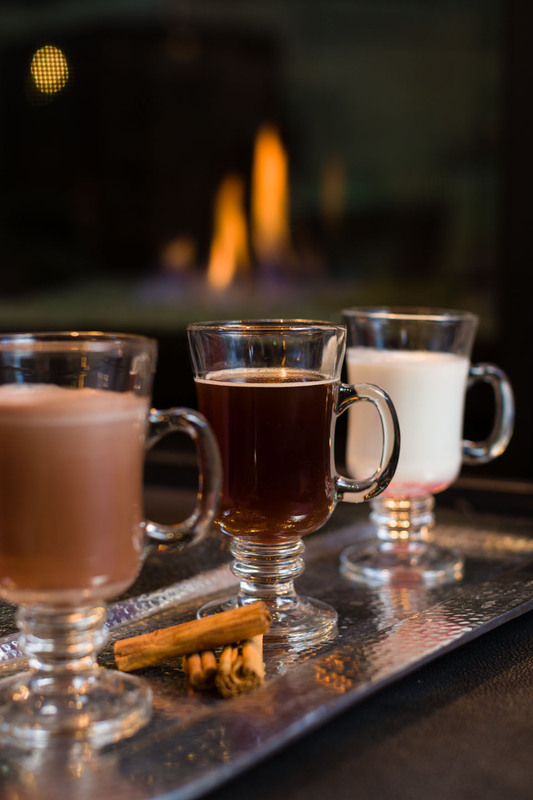 We took advantage of one of the fireplaces on site and photographed the holiday beverages in front of the fire. I had to get creative to get the fire and the lighting to balance. This is one reason I carry at least one tripod in my car’s trunk. Be prepared. For the final edit, I am thinking of adding more fire using Photoshop. Yay, Photoshop! Fresh rolls out of the oven. 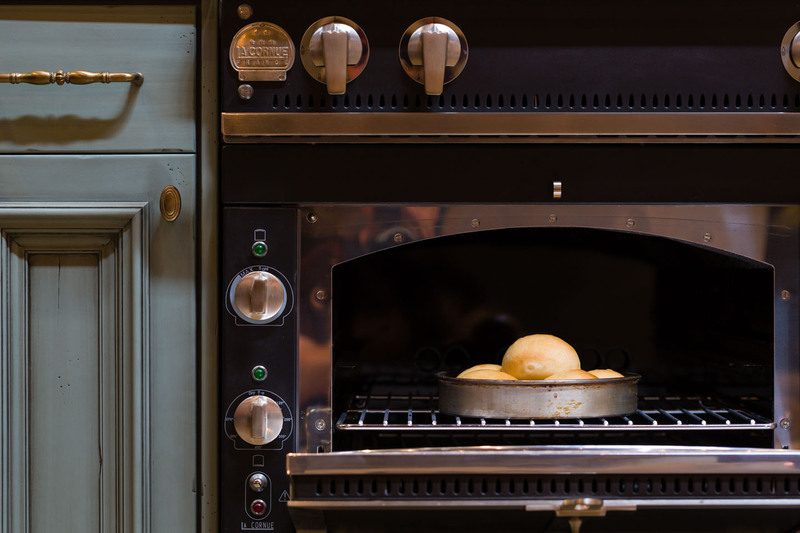 You get a hint of what the oven looks like. You get a taste of how amazing Mountain Land Design is. You definitely need to check out their selection. So now that I have my first food photo shoot under my belt, I am very excited to do it again and get some more practice done. I have a few ideas and goals that I will be working on. I will start with working with some amazing cupcakes that are made locally and make them look fantastic and then just move up the chain. These are personal projects that should definitely help me hone my craft. Then fruits, veggies, and desserts! 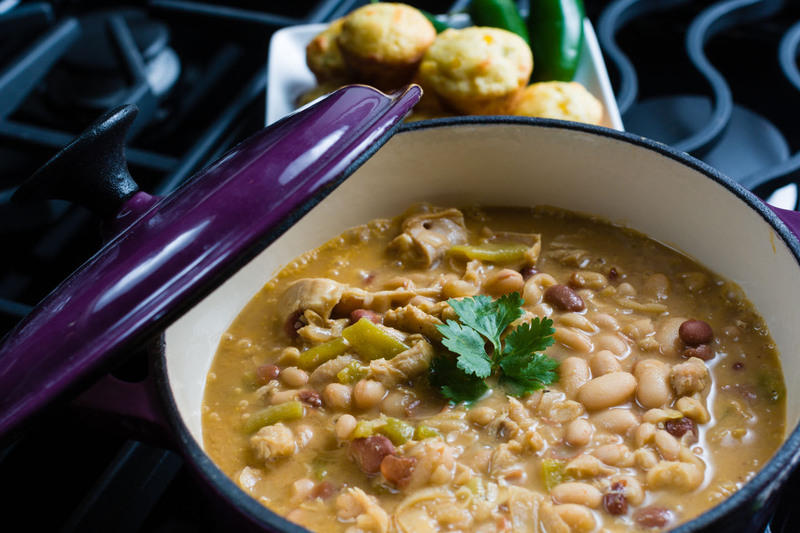 So if you are in Utah and need some food photography, I’d love to work with you. Dav.d these are amazing and yes, I agree with Christina.